Lori Shyavitz is a versatile IP attorney who counsels clients on a wide range of issues relating to trademarks, trade dress, copyrights, domain names, unfair competition, patents, advertising and promotions. Ms Shyavitz works with her clients to develop global brand protection and enforcement strategies. She regularly assists clients with acquiring IP rights and clearance issues. For example, she manages a team that is conducting IP reviews of various products for a major retailer. 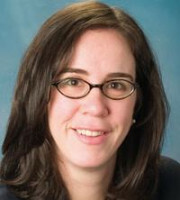 Ms Shyavitz represents clients in contentious matters in federal courts, before the Trademark Trial and Appeal Board and in arbitrations under the Uniform Domain Name Dispute Resolution Policy. She was a member of the litigation team for a seminal case in the fashion industry involving a famous colour trademark. Ms Shyavitz is also well versed in licensing matters and other IP-related transactions, including advertising and promotion strategies. She reviews advertising campaigns, product labels and packaging, and drafts and negotiates talent, procurement and agency agreements. Ms Shyavitz routinely assists clients with structuring, drafting and implementing both old and new media promotions, including games of skill and chance. Ms Shyavitz advises clients on entertainment law issues. She has drafted music and entertainment agreements, and counselled clients on copyright protection for treatments, music and other creative works. Ms Shyavitz’s clients include members of the fashion, media, pharmaceutical, sports, food and beverage, consumer products, biotech and energy industries.